The rooftop bars in Sydney are fun anytime of the day, month or year, with unbeatable views and good food and drink to keep every visitor happy. Drink in the Sydney skyline and enjoy a memorable experience. Sydney’s rooftop bars have something for everyone, whether you’re in the mood for a romantic tète a tète, a round with the lads, an afternoon with the family, a girls’ night out, or just some drinks after work. What’s better than a drink looking over the stunning Sydney skyline? Especially if that view is of golden sands and blue waters as far as the eye can see. 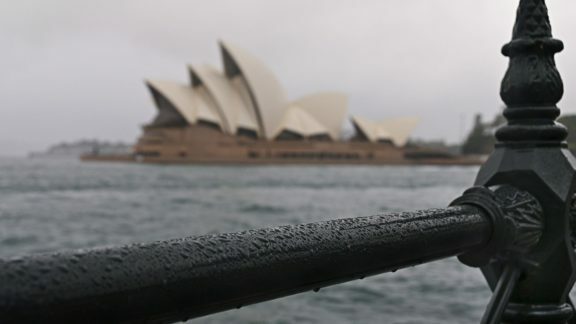 How about the distinctive Sydney Opera House with the harbour bridge in the background? Or an aerial view of Sydney city in all its majesty? There’s always a charm to people watching, as one sips on a cocktail or cold beer. Sydney offers many a perfect spot to enjoy a drink – or three – while also taking in the gorgeous city views and grabbing some good eats. The summer affords the best in terms of weather, but honestly, as long as the patio or garden heaters have kicked in, well, the view remains spectacular any time of the year! There is no better way to celebrate a special occasion like a birthday! There are quite a few places that will rent out their entire establishment, have a separate section for private parties, or have an exclusive venue for a fancy celebration. Keep an eye out for happy hour specials. Many of these happen in the afternoons, to entice hungry and weary tourists in, or else in the early evening for the locals wanting to unwind after a tough day at work. 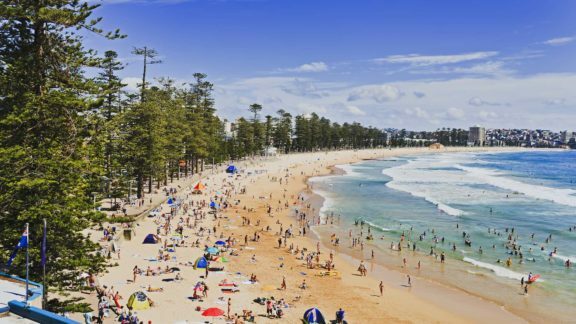 At most of the bars in Sydney, you can expect the happy hour and special offers to change on a daily basis, which basically means there will be something for everyone across the week, including kids and foodies, not just the tipplers. Here are eight of the top Sydney rooftop bars that you should visit for the ultimate drinks with a view. Well, this one is a given on any list, as it’s undoubtedly “the” spot to grab a drink and on every tourists ‘must do’ list. 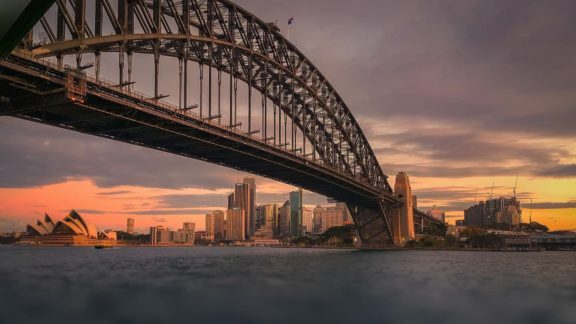 The best time to head there is before the sun sinks too low so you can watch the sun set with the harbour bridge as its backdrop. With its unbeatable location on the waters of Circular Quay, you won’t quickly forget your night here. Located right on the promenade on Sydney’s Bondi beach, this is a bar to hit up for cocktails, tacos, and prawns – quite literally by the bucket! Perfect for a daytime visit, it is popular both with tourists and locals. Check out their daily changing happy hour offers, which range from an enticing $2 oysters to $5 tacos and Tecates. This place also has a variety of options for those wanting to rent out the space for a special function, including the very cool Fish Bowl, with a capacity of 170 people, and a panoramic view of Bondi beach. Websters Bar (previously The Zanzibar Cloud 9) rooftop is a lovely space and if you can manage the stairs up, you’ll get a lovely view on the way. In the summertime, the rooftop beer garden is ideal for working on your tan while you enjoy a cold one. The happy hour specials have different offers on alcohol and cocktails depending on the day of the week. Another must visit spot, the swimming pool at the centre dominates, and you will find patrons dipping their feet in during the summer time. The bartenders at Ivy Pool Club are known to mix some mean cocktails, and that along with a pizza will make for a perfect day time hangout spot. Quite the party spot on the weekends with DJs spinning tunes as people take a turn on the dance floor, Taylor’s caters to the working crowd on weekdays, and is usually buzzing. This rooftop bar right off Coogee Beach is high on many people’s lists and we know why. It gives you a 270 degree view of the beach, and when the retractable walls are down, you can feel the salty sea air right on your face. Of course, you must get there early in the day to get beachside seating! With three bars churning out drinks, you will be served in short order even when the place is humming – which it usually is. Do note it’s an adults-only zone. The second-floor terrace bar at Watson’s has a spectacular view of Sydney harbour and the boats lined up along the bay. With timings that run from early in the morning to late night, this is a spot you can stop by for breakfast or dinner, a snack, and drinks – any time of the day. Sunset with a cocktail is a winning combination. The weekend brings a crowd that get their groove on to the DJ and pumping music. Don’t miss a visit to the rooftop of the Hotel Sweeney’s building, which is home to a lovely little craft beer bar with eight brews on rotation, as well as tap takeovers. Enjoy your beer as you gaze down and around at central Sydney. If you love the nightlife in Sydney, you should consider moving there – it’s an amazing city with great opportunities for anyone! Want to check out another iconic Sydney Bar? Head to The Ivy – rumour has it that The Ivy will be making way for a big hotel soon, so make the most of it while it’s still here! Stay at Base Sydney – 477 Kent Street, Sydney and check out the iconic Scary Canary backpacker bar next door. Author: Alina Maul. I’m a marketing intern currently down-under, I love travelling, campervans and who knows, one day I might even move to Australia or New Zealand!